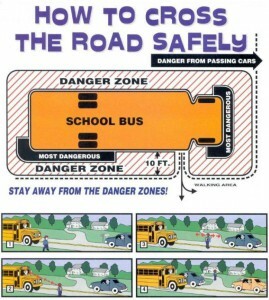 Get to School Safely This Year! School buses are the safest mode of motorized transportation for getting children to and from school, but injuries can occur if kids are not careful and aware when getting on and off the bus. Parents/Guardians be sure to take a moment to review these essential safety rules with your student(s)/children. •Walk with your kids to the bus stop and wait with them until it arrives. Tell kids to stand at least three giant steps back from the curb while waiting and as the bus approaches. Board the bus one at a time. •Teach kids to wait for the bus to come to a complete stop before standing up from being seated. 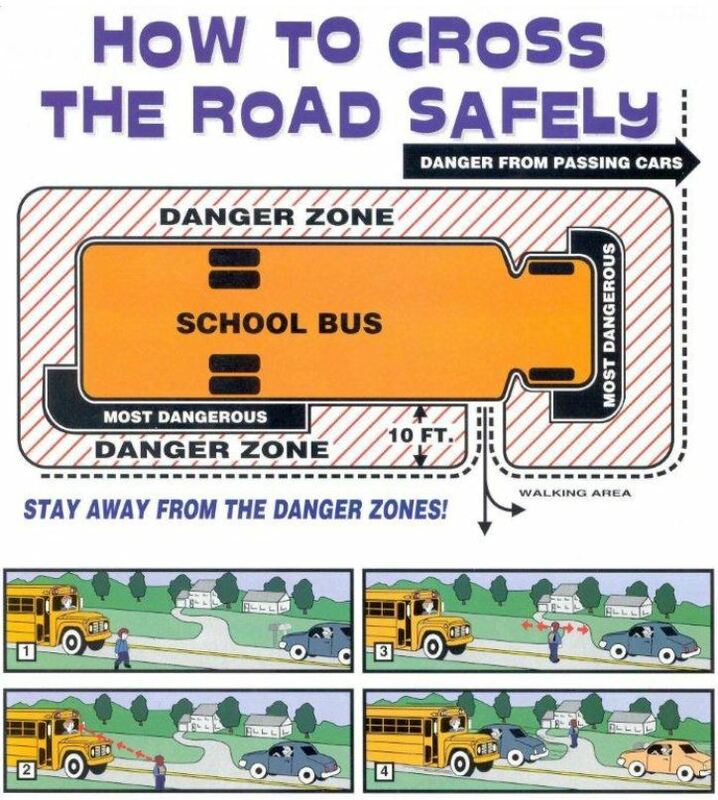 •If your child needs to cross the street after exiting the bus, he or she should take five giant steps in front of the bus, make eye contact with the bus driver and cross when the driver indicates it’s safe. Teach kids to look left, right and left again for stopped cars and before crossing the street. •Instruct younger kids to use handrails when boarding or exiting the bus. Be careful of clothing and bag straps or drawstrings that could get caught in the door. If your child drops something, they should tell the bus driver and make sure the bus driver is able to see them before they pick it up. DRIVER SAFETY & AWARENESS: With students heading back to school it is important that we all stay alert and aware. ► When backing out of a driveway, watch for children walking or bicycling. ► Be alert, as children arriving late for the bus may dart into the street without looking. ► YELLOW flashing lights indicate that the bus is preparing to stop. ► RED flashing lights and extended arms indicate that the bus has stopped and that children are getting on/off. ► Motorists MUST STOP their vehicle and wait until the red lights stop flashing, the extended stop sign is withdrawn and the bus begins moving again.